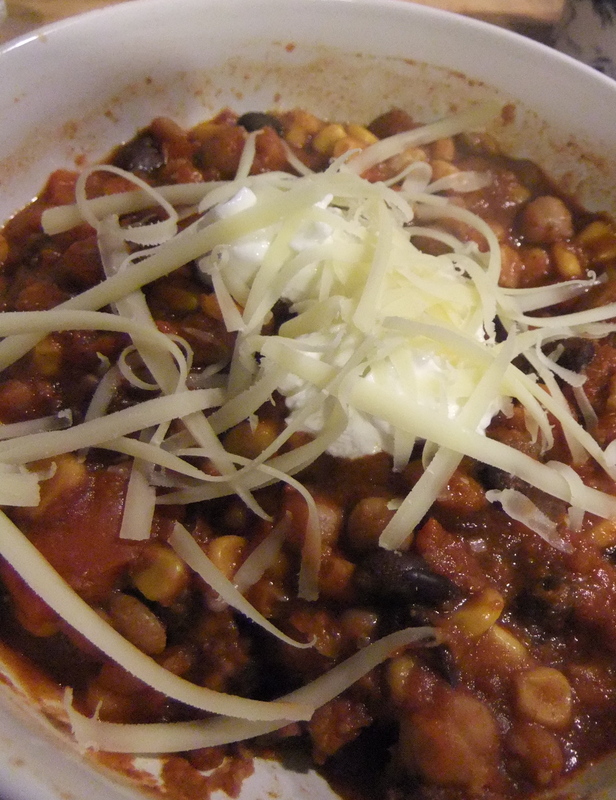 This week’s vegetarian recipe comes from Back to Her Roots and is Vegan Beer Chilli, but I’ve slightly adjusted the recipe so for here I’m changing the name. At the beginning of September, Ma hired a car and we did a massive shop, we do this every 3 months or so to stock up on un-exciting heavy or bulky things like toilet roll, washing liquid and wine (ok that was just Ma!). I also use it to fill up the freezer and in line with my eating less meat plan I bought lots of beans (chickpeas, pinto and black beans). Which I cooked, bagged up and froze. So Vegan Beer Chilli was an ideal opportunity to use some of them. The first thing I should have done was halve the recipe. 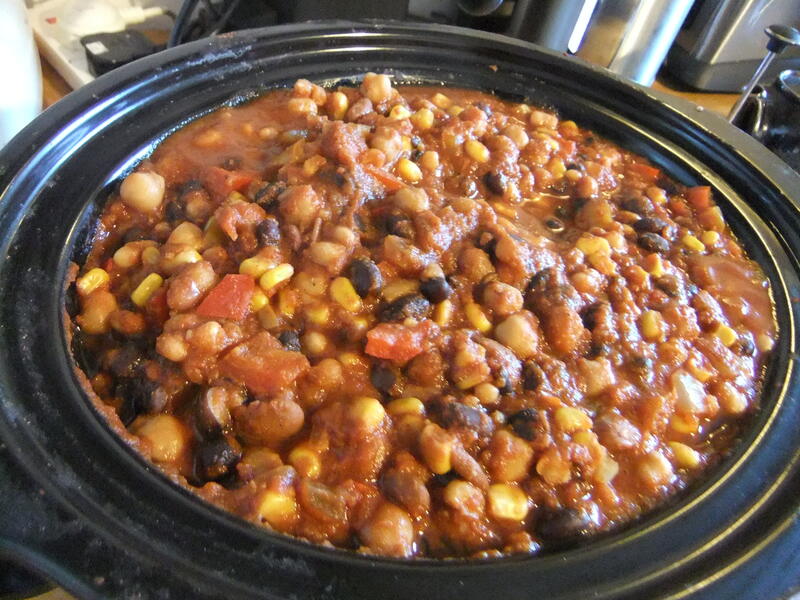 Cassie did feature this recipe as part of her freezer cooking post and she clearly has a massive slow cooker, I do not , cue overflowing slow cooker. Lesson learned and on that note, some UK conversions for a US recipe. A 16 ounce bag of frozen corn is 500g. It’s rare to find 28 ounce cans of crushed tomatoes in supermarkets in the UK, 4 x 400g cans of tomatoes blizzed in the magimix worked really well, alternatively you could use passata..
Cans of refried beans come in 215g and 430g (well if they’re made by Discovery they do) I used a 430g can but next time, I’m just going to make them myself and use the equivalent weight. I did change some of the ingredients. I’m not overly fond of kidney beans and subbed them for chickpeas and pinto beans. I’m not a big fan of heat in my food so I didn’t put the japenos in and used less chilli and more cumin – hence the change of name to from chilli to stew! Finally due to the over flowing of the slow cooker and the lateness of the hour, instead of cooking on high for a couple of hours, I stuck this on low overnight. 1) Blitz the tomatoes with spices, salt and pepper in a blender. 3) You can eat it straight away or allow to cool and freeze. 4) I served it with greek yogurt and cheese – thus demolishing the veganess (is that even a word?) of it but it was very good. 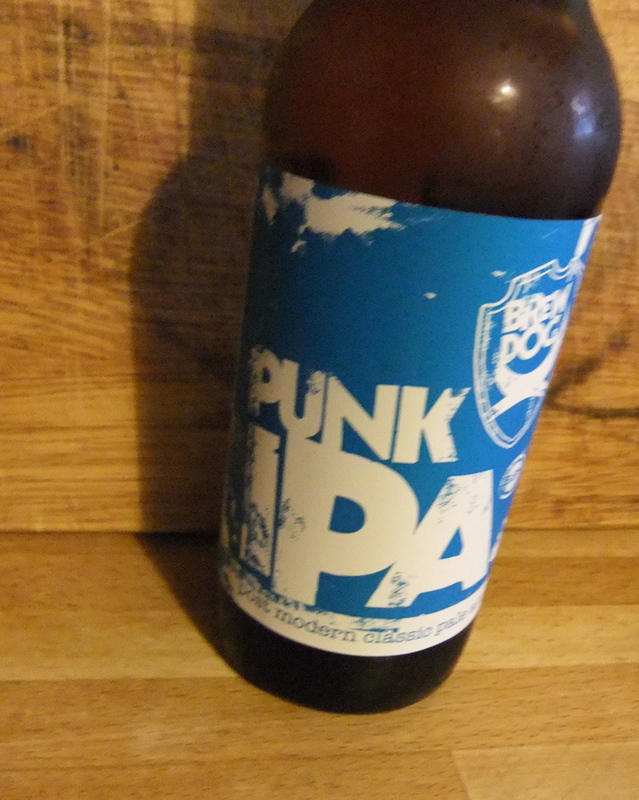 This entry was posted in Cooking, Food and tagged Bean Beer Stew, beans, Brew Dog IPA, cooking, food, slow cooker, vegetarian meals. Bookmark the permalink.